The Vax Air Cordless is the first generation full size cordless cleaner, combining power, manoeuvrability and a LithiumLifeTM battery. From the stairs in your home to the seats in your car, the cordless Vax Air Cordless Solo vacuum cleaner offers flexible cleaning with its lightweight steerable technology and low recline. Never miss a spot with the LED headlights and powerful Boost button for increased suction. The Vax Air Cordless Cleaner combines power, manoeuvrability LithiumLifeTM battery lasting up to 25 minutes. WindTunnel3TM technology provides powerful pickup with no loss of suction. 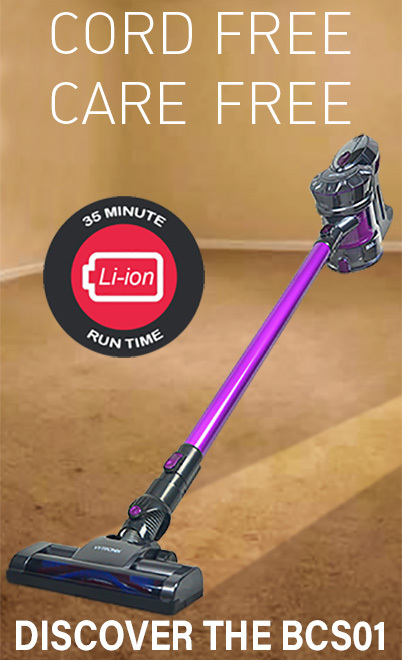 Effortlessly cleans both carpet and hardfloors at the touch of a button. A removable cleaning wand ideal for above the floor cleaning. Includes 2-in-1 crevice and dusting brush. The Air Cordless offers a fade-free LithiumLifeTM battery ensuring you are never without power. Having up to 25 minutes* runtime with a full size capacity makes cleaning larger areas more convenient as you won’t have to constantly empty the dirt bin. The Vax Air Cordless also includes WindTunnel3TM technology, that provides 3 channels of suction across the width of the floor head for a powerful performance. This will help lift and remove embedded dirt across both carpets and hard floors. At just 4.6 kg, the Air Cordless is ultra-lightweight when in use and easy to carry up and down stairs. With the removable cleaning wand and tools, you have everything you need for above the floor cleaning. You can clean the stairs, elevated spaces and even the car. The Vax Air Cordless has steerable technology and a low recline means that with the flick of your wrist you are able to manoeuvre around furniture and get underneath tight spaces with ease.